We have many years’ experience in designing and erecting memorials, tombstones and grave markers. We are proud to have worked on a number of public commissions, including the Rhodes Memorial in Cape Town (1908), the Huguenot Memorial in Franschhoek (1945) and more recently, a memorial in the Knysna Forest to honour the South African writer Dalene Matthee (1938-2005). We are able to design individual tombstones and grave markers to our clients’ specifications. Clients are also able to choose templates and inscriptions from our own catalogues. 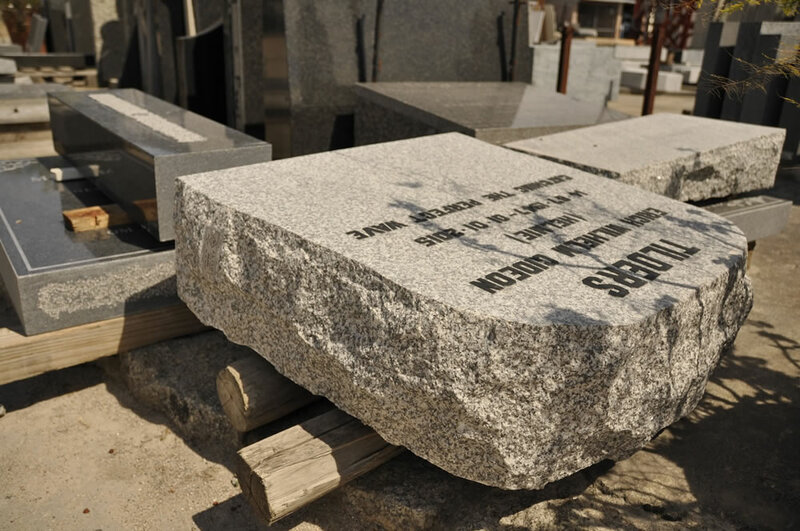 Traditionally tombstones are made up of the following components: the headstone and base with a personalised inscription and epitaph, grave kerbs, a granite or cement plinth, as well the grave covering that may consist of granite chips, terrazzo tiles or a solid stone slab. We are also able to offer clients a number of tombstone designs and decorative sandblasting motives.